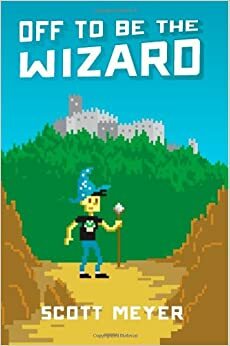 On a recommendation from Tony, my good friend from Oztin, I read (audible'd) Off To Be The Wizard by Scott Meyer. Tony compared it favorably to something in the vein of Ready Player One by Ernest Cline. It took a bit for me to warm to this book, oddly enough because of the comparison to Ready Player One. As it turns out, they are only similar in a couple of ways, and the things that I liked most about Ready Player One are generally absent from Off To Be The Wizard. Once I resigned myself to the fact that they were, in fact, very different books, I quickly began appreciating Off To Be The Wizard as a good book on its own. I'm not one to give spoilers, so I will avoid doing so here aside from saying that it has to do with a modern day college age guy that is transported back to medieval England and tries to become a wizard there. Suffice to say that not only is this book a very enjoyable read, I liked it well enough to buy the next two books. I'm trying to mix in some other material, but I will begin Spell Or High Water before too long. And, as audible appears to be my primary consumption vehicle, I found the recording to be VERY high quality. Luke Daniels (the narrator) did a fantastic job with differentiating between all of the main characters. I was never confused about who was talking, and felt the intonation and characterizations were really well done. He narrates the other two books in the series as well, and I'm very much looking forward to them. As an aside, I just checked, and it looks like Luke Daniels is a prolific narrator. There are about 313 recordings on audible.com that he's participated in (if you believe their search results). The first was back in 2009. This might mean that he's read as many books aloud in the past few years as I've read in ANY medium. Then again, I think he's getting paid to read them. I wonder how much voice actors retain of the books they read...?